I generally try to avoid washing most of the mushrooms I forage (or any mushrooms. really). They get soggy and don’t brown as nicely in butter. Plenty of people tell me it doesn’t make a difference, but I find wet mushrooms (they absorb water very easily) will steam rather than sear in a hot pan. 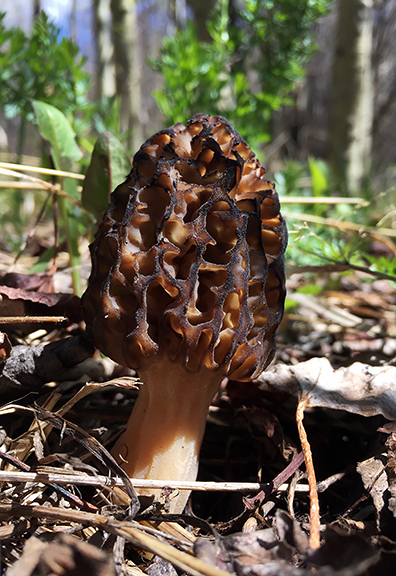 However, I make an exception for morels, because it’s quite difficult to get sand and debris out of the pitted surfaces or from the hollow insides without water. I like to submerge the mushrooms in a large bowl of water, then one at a time make a loose cage with my hand around each morel and swish it gently, but quickly, in the water. I shake as much excess water off as I can and then lay it on a towel to dry. You don’t have to cut the morels in half, but I do this if they are especially dirty or if bugs took up residence inside the hollows and pooped. 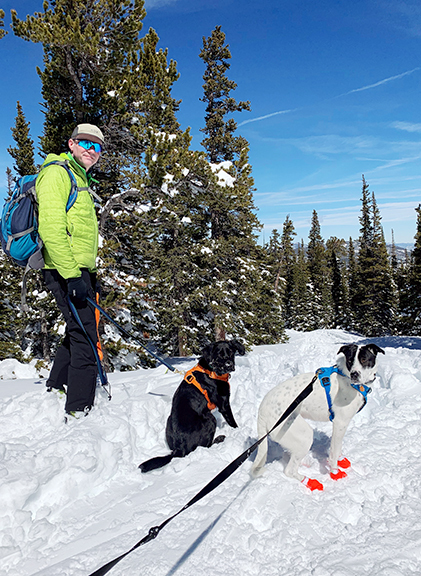 Hey, poop is a reality of life – especially in the woods! 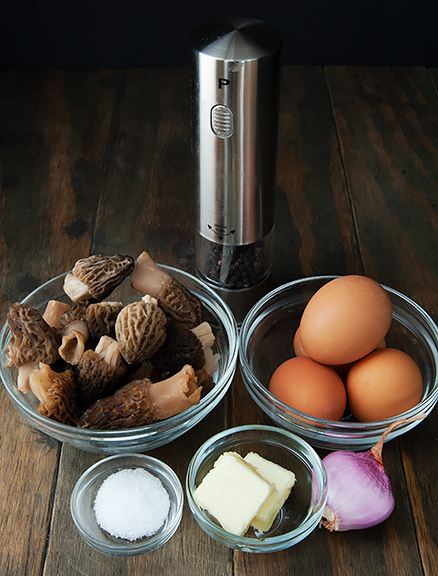 I pan-sear my morels with shallots in butter, but if you have a different preferred method for preparing the morels, go for it. Maybe you want them in a bourbon cream sauce over the eggs instead? 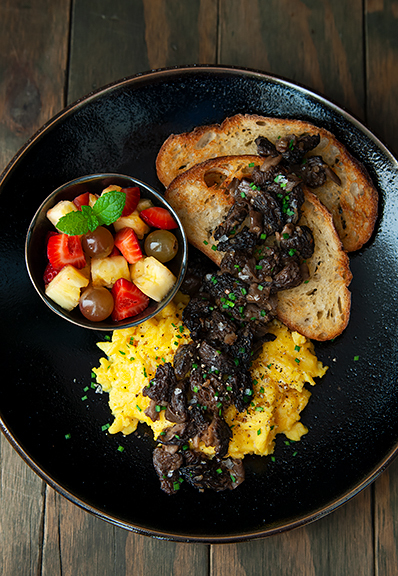 The main goal is to pair delicious umami-ful morels with creamy dreamy scrambled eggs and put them in your mouth. 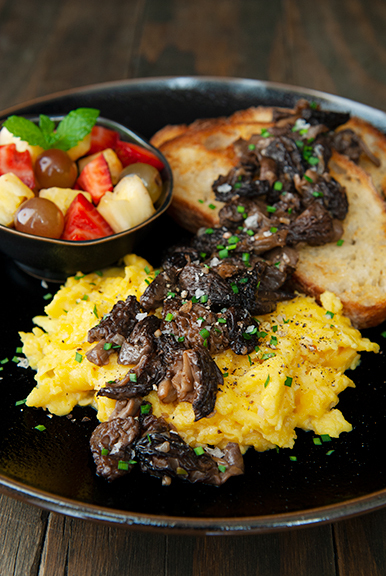 When the mushrooms are cooked, set them aside while you scramble the eggs. You can keep them warm in a covered dish. If you are particularly gifted, cook both at the same time. Just remember the goal. I never learned to scramble eggs properly until a few years ago. Before that, I simply poured beaten eggs into a hot pan until I had hard scrambled eggs. That worked just fine for Jeremy because he likes the egg equivalent of well-done steak. But I LOVE runny yolks, jammy yolks, creamy scrambled eggs. 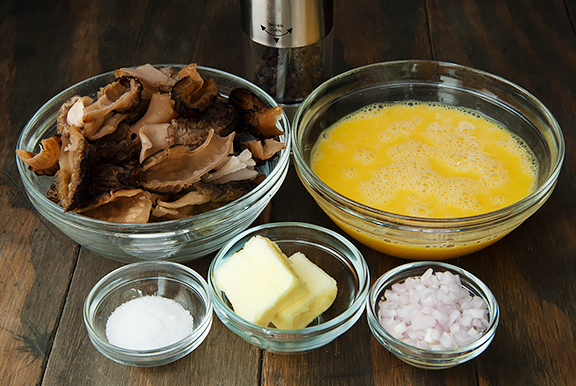 And it was foraging morels that incentivized me to learn how to soften my well-done scrambled eggs. For anyone left out there who doesn’t know the key to making delicately creamy scrambled eggs, you want to go low and slow (kinda like the mantra for proper barbecue). 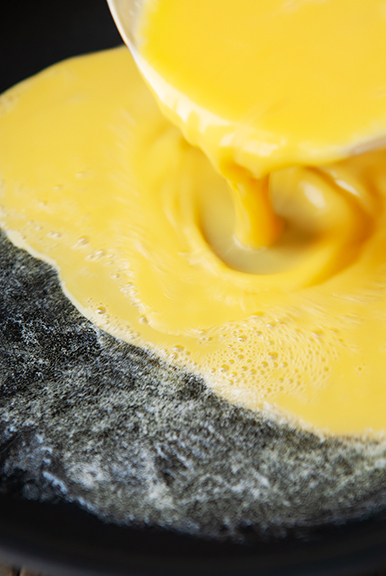 Cook the eggs over low heat and patiently scrape the eggs together until soft curds form. This method will try the patience of people who are in a rush. Don’t rush it. Let it happen. Just before the eggs are cooked through, scrape them onto your serving plate. The residual heat will continue to cook the eggs. 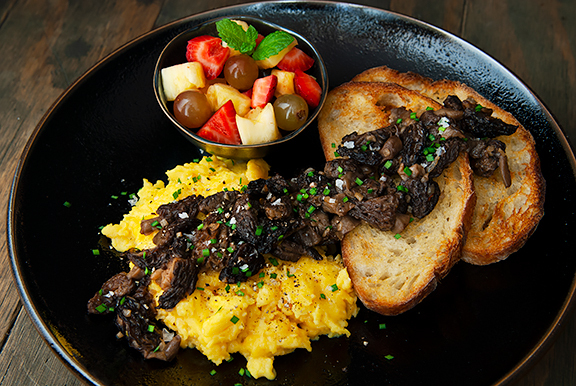 Once the eggs hit the plate, the mushrooms should follow. And then you need to sit down and savor every bite. Have it with toast, bacon, sausage, potatoes, biscuits, gravy, cheese, hot sauce, whatever tickles your fancy. It’s going to be fancy and unforgettable. 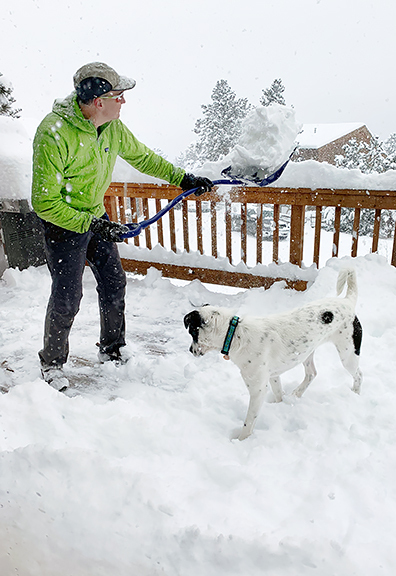 Happy Spring. 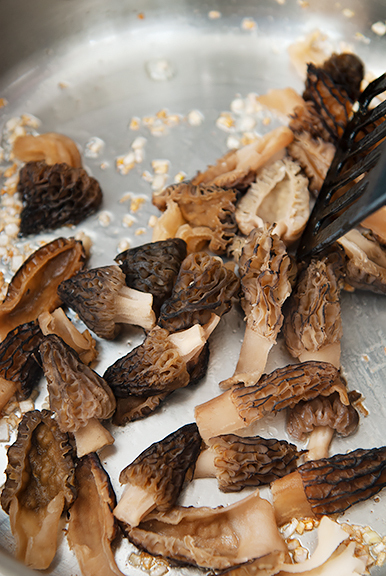 May the morels be with you. 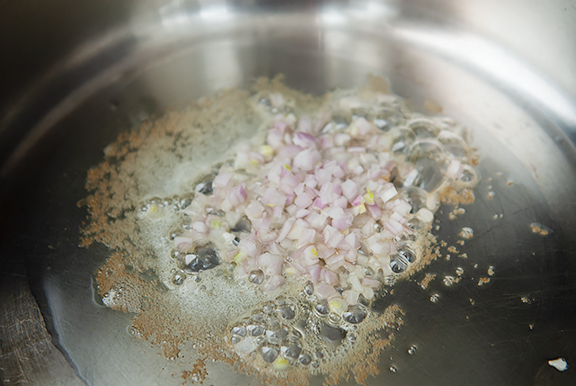 Melt 1 tablespoon of butter in a sauté pan over medium-high heat. When the butter begins to sizzle, add the shallots and sauté until softened. 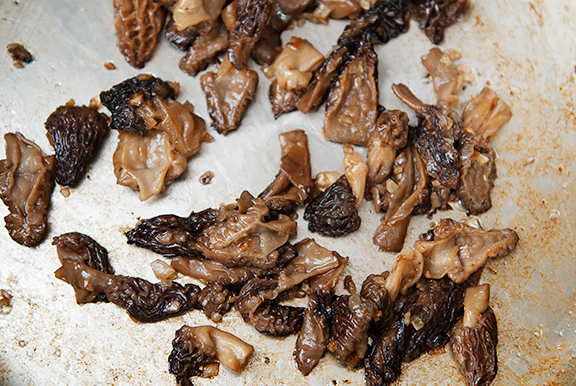 Add the morels and cook until the juices have mostly boiled off. Season with salt and remove from heat. 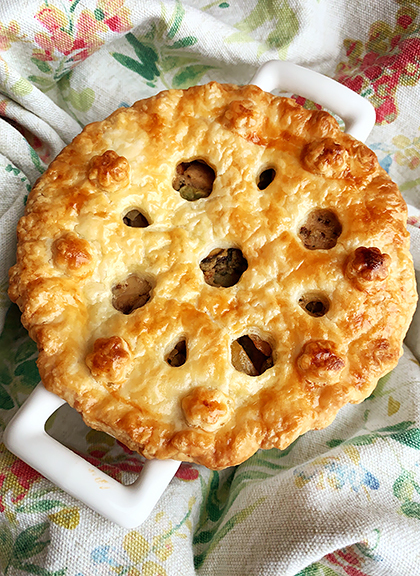 Heat the remaining tablespoon of butter in a nonstick pan over medium-low heat. 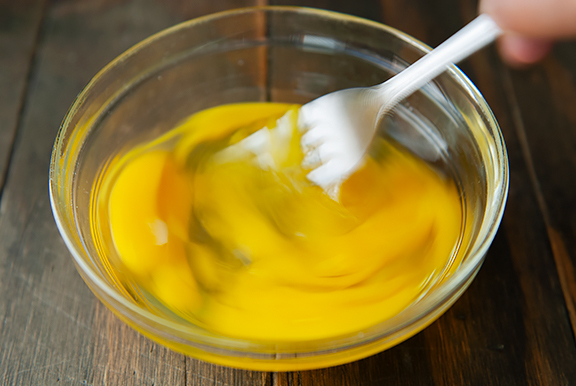 When the butter is hot, pour the beaten eggs into the pan. Sprinkle salt over the eggs and stir until they just begin to set. 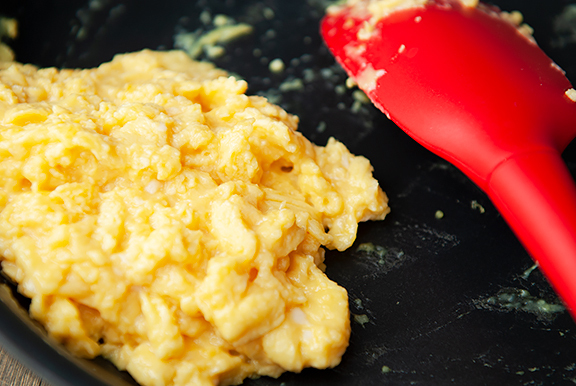 Sweep a silicon or rubber spatula across the pan, scraping the base so that the eggs pile up in a wet mess. Continue to scoop the eggs until they are slightly underdone (because they will continue to cook after removed from the pan) and remove to a plate. Spread the mushrooms over the eggs. Season with salt and pepper to taste. Serves 1-2. Mmmmm, on the rare occasions I am fortunate enough to get morels, I coat them in buttery cracker crumbs and pan fry. That is almost too rich, and I would imagine that having some protein with them in the form of eggs would be a better way to go. And shallots improve almost everything! 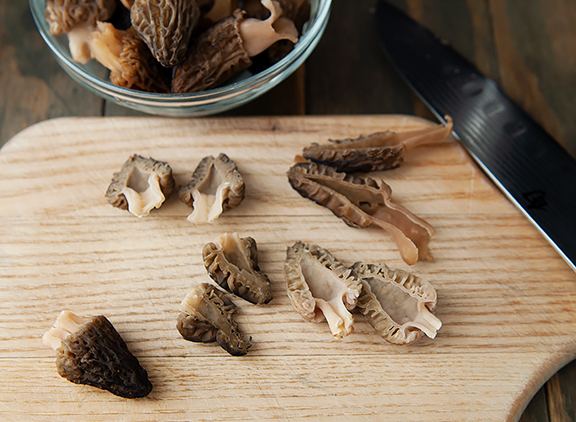 I hope you have a great morel season. Oh Yum! That is one divine looking dish! I received some “truffles” from the Portland, OR Farmer’s Market, gifted to me by a visiting houseguest a few wks ago. They’re in the fridge as I’ve been thinking on what to do with them. You’ve inspired me to shave them over scrambled eggs! So true about slow, creamy scrambled eggs! I learned egg patience by working on other breakfast duties while the eggs set up. JoAnn – WOW! I’ve been dumping my morel wash water and cuttings around my yard (in those places most like their preferred environment around here) for a few years and have yet to see any come up. 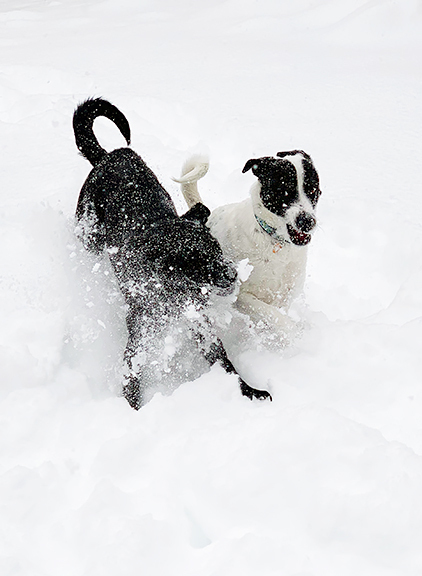 How exciting to have them on your property. 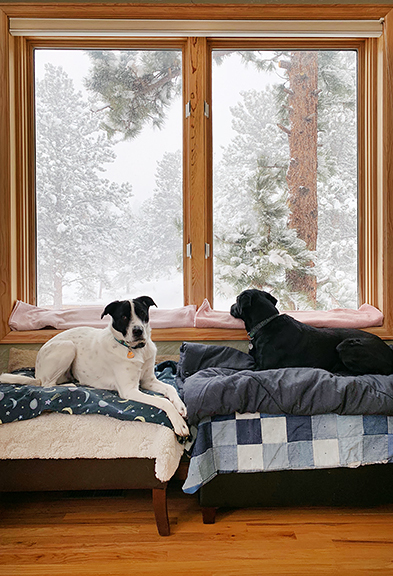 Yes, Yuki is the black and white mutt. She is 1/4 American Staffordshire Terrier, 1/8 Australian Cattle Dog, 1/8 Rottweiler, 1/8 Chow, and 3/8 we don’t know (based on a DNA test). We see a lot of pups that look similar to her and wonder if they have similar or very different DNA make up!